Kelsey Brookes’ latest painting show was perfection! 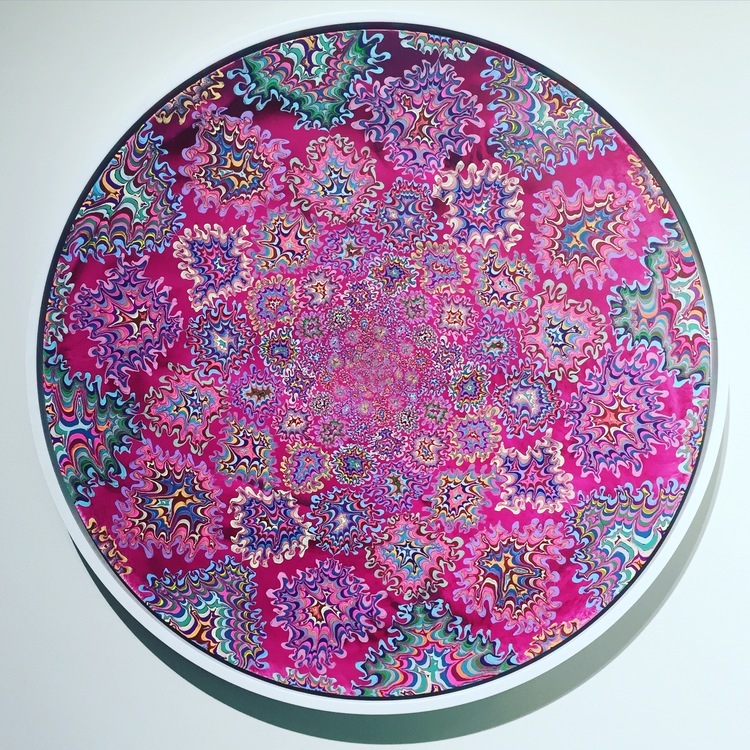 I traveled from Venice, LA to an art gallery in La Jolla, San Diego to check out the opening night of Psychedelic Space. The show took place at Quint Gallery on a warm summer evening. I had the opportunity to tan and swim at Scripps Beach beforehand, worth checking out if you are ever in the area. Psychedelic Space had an amazing turn out. The art admirers dressed in an aesthetic that paired well with the surfery/trippy/trendy/colorful vibe of the artwork. Everyone was trying to get their hands on the hardcover coffee table book that accompanied the show. Kelsey Brookes sat at a small table in the back of the gallery and signed every purchased copy of his book. Small circular paintings, a collection of framed screen prints and large-scale circular paintings hung on the walls in the two-room gallery. 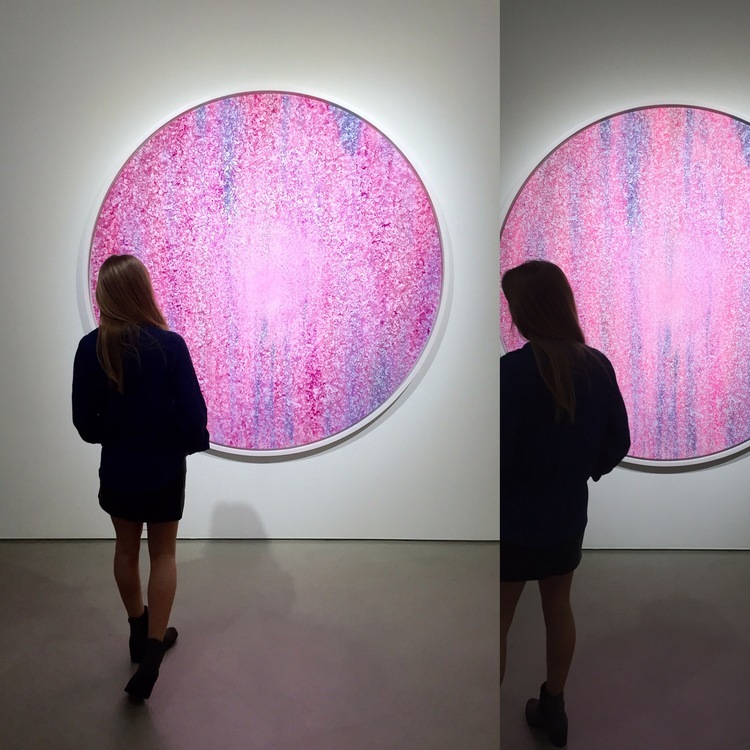 My favorite of the three different forms was the large-scale circular paintings. Kelsey Brookes harmoniously uses repeating abstract patterns over the surface of his canvases. The large scale makes the viewer feel engulfed by the psychedelic space. The imaginative quality of Kelsey’s painting seems to be extremely streamlined. His style of rendering abstract forms stays consistent throughout each piece helping the body of work to remain visually unified. Because Kelsey uses the same painting vocabulary from piece to piece he is able to master and play with unique canvas shapes and pop-art color palette.